← Six Sentence Sunday 27/01 #49 and final! 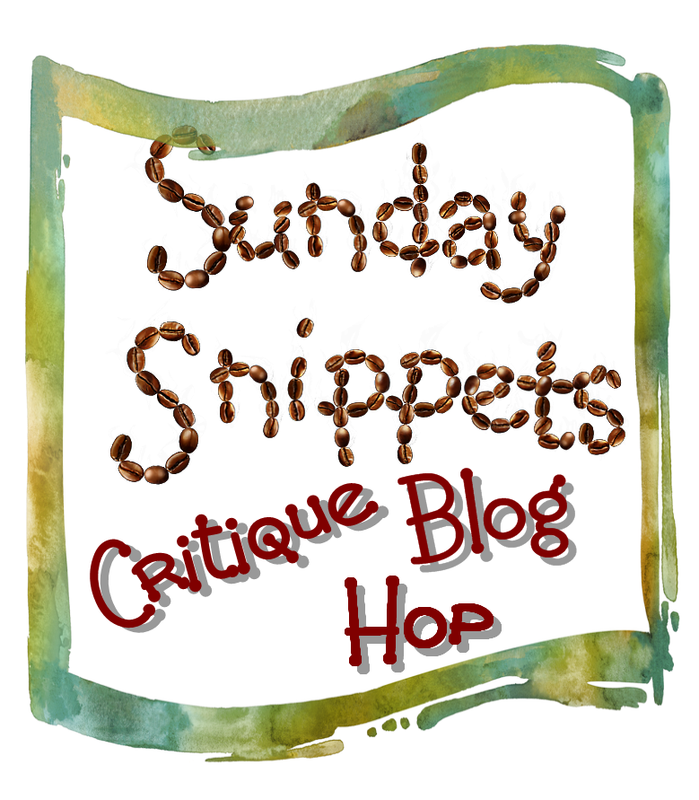 The Sunday Snippets Critique Blog Hop Begins! Yes its a murky, grey and icky Sunday, but I feel somewhat cheered by the idea that I’ve joined up to something new. Yes, I realise that my time hasn’t become any more free than before, but I think this is a good idea. As I mentioned in my last Six Sunday post, I have joined Jennifer Eaton’s Critique Blog Hop. Writers gathering together to help each other (because that’s what we do!) by way of constructive critiques. Never one to turn down a chance to receive feedback on my work I leapt at the chance to join in. It’s also nice to get in on the ground floor, so to speak. I think while the list of participants is quite small, it will be a nice thing to bounce around and see what other people are doing and enjoy the mutual exchange of feedback. It was cold in the morgue. Then again, it always was. The temperature now, according to the wall thermometer was no different today than it had been on any other day, and yet Daniel Markfield shuddered roughly, chaffing his hands against his bare arms. He blew onto his hands, watching the condensation of his breath form a thick cloud in the air. “Bloody thermostat.” He glared at the wall thermometer, flicking it with his fingers, waiting for the mercury to drop and show the true temperature. Nothing. He flicked it again, and blinked, startled as the mercury plummeted down the negatives. Grumbling, cursing, stamping his feet, Daniel rinsed off the last of the sinks and hung the hose tap to drip dry from its round, metal hook. Gathering up the last of his autopsy instruments, he dumped them in a bowl of hot disinfectant, ready to soak before proper deep, heat cleaning. He was glad to be done for the day; it had been a tough one. In his job, there was never a dull day, though he wished for it, but today had been one of the oddest he had ever come across. It had begun with a body. There was always a body – of course there was! – but this was the body of a middle aged man, probably Caucasian, found burned to a crisp in the front seat of his car. It was the unfortunate soul caught in the front of the Jaguar which ploughed into that petrol tanker beneath City Walk bridge the day before. 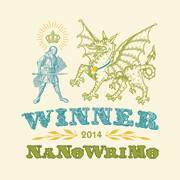 The first 250 words of my current WIP Walking The Razor’s Edge. Any and all comments gladly received! This entry was posted in Critique Blog Hop, Ileandra's Posts, Walking The Razor's Edge and tagged caitlin stern, critique, Critique Blog Hop, Ileandra Young, jennifer m eaton, jenny keller ford, mandy eve barnett, mermaids singing, postaweek2013, sunday snippets, walking the razor's edge, woman bites dog, wyrm flight. Bookmark the permalink. 39 Responses to The Sunday Snippets Critique Blog Hop Begins! Oh! This list is longer now of critique hoppers. Can you add to your post? Overall, I think you can set up a good image here if you try to re-write it without the word “was” — that will make you need to re-think your start, though. In your first 250, you need to give the reader a firm grasp of your character and the scene if possible, but all I really get is that it’s a cold morgue. I think it would be good to get a little more than this on your first page. I think you can condense by getting rid of the “tell” about the cold, and just show us by having him rub his hands and see his breath. We all know what that means. We will be shivering with him if you help us to experience it all. (see markup for an explaination) Good luck! Thanks again, I’ll keep my eyes open for that email. I hate to be a killjoy…but… The intro would work better if you grabbed the reader straight away with ‘there was always a body’. The hook for this story comes too late. You can then add reflection and description of the scene later-when you have the reader sucked in. ‘It had begun with the body.There was always a body – of course there was! – but this was the body of a middle aged man, probably Caucasian, found burned to a crisp in the front seat of his car. It was the unfortunate soul caught in the front of the Jaguar which ploughed into that petrol tanker beneath City Walk bridge the day before. Bloody thermostat.” He glared at the wall thermometer, flicking it with his fingers, waiting for the mercury to drop and show the true temperature. Nothing. He flicked it again, and blinked, startled as the mercury plummeted down the negatives. Now you have the reader’s complete attention! The only problem is it doesn’t quite make sense that Daniel would be concerned with the temperature just as he was about to leave work! Heh, it must mean something that I had the exact same thought on Monday, right before I took this and another 700 words to my workshop group and they said the same thing on Tuesday. So it’s certainly something to look at. My issue is that the opening sequence of this book is a paraphrased duplicate of the epilogue from the previous (this is the second in the trilogy), so it makes some assumptions. I agree what I need to do is get the hook in nice and quick, since (I’d hope) that not every reader has come in from the first book; I want to pick up more readers from this one and send them back for the first and then forward for the third. I enjoyed the excerpt very much. I agree with the above entry about starting off with “There was always a body.” You could’t buy a more perfect first line than that. Excellent detail. I’m definitely intrigued (I’m a sucker for a morgue and a body). Heh, this seems to be a common thought. I’ll have to see to it when I go back for round to. Thanks Jordanna! You’re welcome, good luck. Saw your comment on my excerpt. I’m terrible at openings so don’t feel bad. Even as it stands yours is better than mine, haha. I love how you have plunged you reader into your main character’s world so quickly but agree with Amy that the sequence could be refined. Not sure if I would use shuddered ‘roughly’…and use sterilization instead of heat cleaning for the instruments, medical terms will make the piece more ‘real’. You capture the morbid (pardon my pun) surroundings well, and the jarring contrast between grisly and routine. If you can, perhaps mix in additional sensory details, scents and textures, to go with the visuals and sense of cold in the room. It wasn’t clear, though, whether Daniel is actually a medical doctor/coroner, or just a lab tech. In general, I felt that not much was going on… until “It started with a body. There was always a body.” That’s an outstanding pair of sentences. See if you can’t get them right up at the top of the story. You’re the second person to bring up the ambiguity in Daniel’s role. That being the case I’ll definitely take a look at it. The main issue was that I couldn’t decide if the correct word was coroner or pathologist so that simply points to a need to do a little fact checking in the next draft. Thank you! The main dif is that a coroner isn’t always or normally a MD while a pathologist always is. Coroner are elected to run the entire city’s office of the coroner. Hope this help, people do use the names interchangably and just wrong because coroner sounds better or maybe easier to understand. Good luck with you story, I’m intrigued! That seems simple enough. I’ll assign it to my ‘research’ folder for when the first draft is done, just to be sure. It’s detail like that that can let me down if I’m not careful. A good introduction to a story! I like the description of the Morgue and all his equipment, very vivid, even though it was perhaps a little too detailed at times. “round, metal hook” – Maybe just “hook” would do in this case. I thought the description of the coldness of the room went on a bit. One technical issue I’m not convinced about is a mercury thermometer behaving like that. It’s a physical law that says most substances that decrease in temperature shrink (except water below 4C for example) which is exactly why mercury is used in a thermometer. If it’s cold it would indicate so. Also tend to agree with the others about bringing the hook, sorry, the body, in earlier. Still, by the end of the snippet you had me. Just yesterday I was having to explain to my workshop group why my vampires have three pairs of fangs. The description when I read it made them think of rows of teeth like a shark (!) rather than three pairs that fit together like in a feline jaw. That was comical, but an example of my thinking so hard about the mechanics of a vampire bite, that I confused people. It’s about balance I suppose. Ohhh! Three sets of teeth??? I never thought about that…. Definitely include some kind of description about that. That is seriously cool and different. Yes, it’s important to remember. It’s impossible to write something that everyone ‘likes’ or ‘gets.’ I’ve always felt that so long as one stays true to their original vision, the readers that do like/get the work are the ones you want anyway. As they’ll enjoy it probably about as much as you! That’s the problem with critiquing only 250 words. As Shannon says, you need to justify it somewhere and you may have done that 300 words in for all knew. So one thing I’ve learned from this exercise is that things like that shouldn’t be judged to harshly, if at all. I avoided reading prior critiques in an effort to give you a true “first impressions” reaction. I apologize if there are repeats! 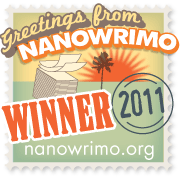 Also of note, I don’t have 250 words posted this week, but next week I will be jumping on the train! Overall, I was left with an eerie kind of chilly feeling when I finished your 250. Obviously, I’ve gathered that the protagonist is an autopsy specialist and we’re down in the morgue with him. He seems pretty detached from the fact that he touches dead bodies for a living, which is pretty true to form for someone in the profession (my cousin’s girlfriend works as a transporter for the deceased to funeral homes and she’s not weirded out at all by it). This is good, because it sets up the hook. The way he’s so nonchalant about cleaning his instruments that were just inside/touching a dead body indicates his comfort level with the job, and piques the reader’s awareness when this certain body grabs his attention. But that’s pretty much all I can tell about the character thus far. He’s tired, ready to go home, and just worked on a particularly gruesome case that’s kind of tugging at his mind. So there’s the hint there that something intriguing or particular is about to be learned. I’d identify that as your hook, based on this reading. I’m definitely interested in finding out about this body and why it’s got our protagonist’s attention, especially because you did a good job establishing his hum-drum attitude toward “regular” dead bodies. Very cool! Can’t wait to read more. I’m glad that his nonchalance has come across effectively as I was worried that I might not have slipped the clues in well enough. I’ll keep pressing on! it is an act of courage to commit our inner stories to print where others can read them. I believe that this – this first writing down so that others can see – is actually the hardest part of writing, because we’re exposing a bit of ourselves. After that, everything else, even a Nobel Prize, is just gracy. It has taken me a VERY long time to reach this point. I’m glad I’m here and it has taken a lot of pushing and shoving, but the benefits are such that I know it’s worth it. And the writing community is so genuinely helpful and kind that it’s not been bad so far. It’s when I publish that I’ll be REALLY frightened, lol. If it helps in any way at all – I am right there, right next to you, scared out of my mind. It helps a lot actually. Sometimes I feel that everyone is miles ahead of the game and I’m lagging behind. While I know that’s not the case, it always warms me to hear that someone is on a similar stage of the journey to me. Gives me that whole ‘I’m not alone’ feeling, which is more valuable that folk realise. Personally, I believe that one of the primary functions of all forms of art is to demonstrate to one another that we are not alone. We may be a minority; we might be few in numbers; but we are not alone. Oh, yeah, “There was always a body.” Immediately, I wonder “why?” “who is he?” (Actually, who is he? And, if he works in a morgue, why is this day so stressful and why isn’t he dressed for the cold?) How does he know about how the man was burned? Did he see a police report? I’m curious for more character detail. A morgue is a sterilized lab for embalming, evidence collection, and quiet dead folks, unless they are zombies, or unless it’s a Buffy episode where the dead are actually waking vampires. So, trust that your readers know what a morgue is, and fill us in on why we care about Daniel and this dead man. I look forward to finding out more about what’s going on! Thank you for your words, Shannon, I certainly have a lot to think about with all the helpful comments I’m getting. Hi, Ileandra. I agree with the body being front and centre instead of the temperature. Also one of my weaknesses used to be using too many verbs ending in -ing. Change those to -ed or the tense you are writing in and the writing has more definition , is stronger. Other than that, I want to see what happened to the burned body. Oh yes, that comes up a lot. And my critique group today slammed me for my slap-dash use of a tonne of adverbs ending -ly. It’s sloppy writing to be sure, but with the help of everyone kind enough to comment here and some editing time I know I can crack it.